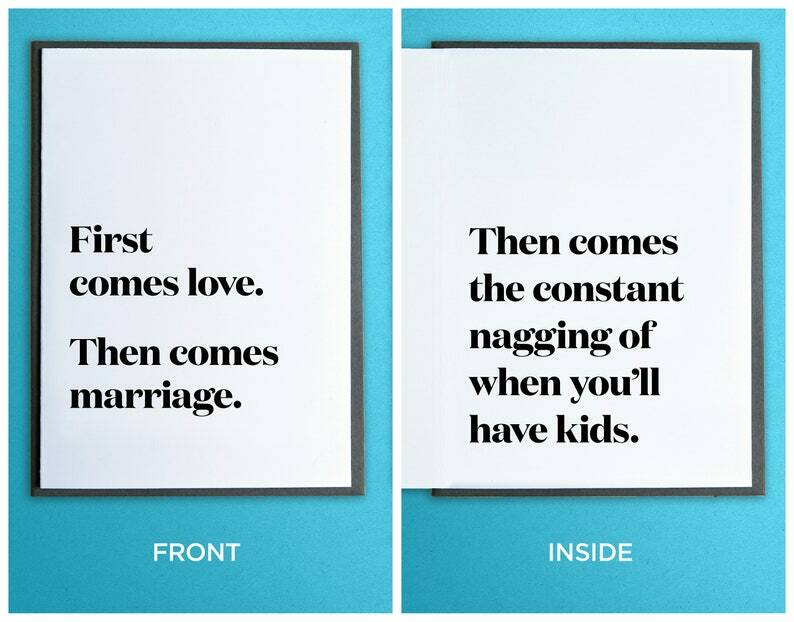 Front: First comes love. Then comes marriage. Inside: Then comes the constant nagging of when you'll have kids.